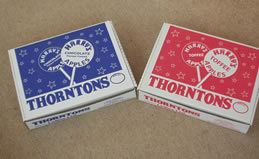 Manufacture of toffee apples - Harry's toffee and chocolate apples. 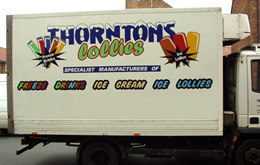 We also purchase residual stock of ice cream products from supermarkets, major wholesalers and retail chains throughout the UK and Europe. In addition, we offer contract packaging of food products for other manufacturers, traders and wholesalers. If you require an associated product or service not listed, please give us a call - we may be able to help.